Premier Destination Services is a DMC (Destination Management Company) in St. Thomas US Virgin Islands. We bring passion and decades of experience in delivering the best off-site services when visiting the magnificent Territory of the U.S. Virgin Islands. Experience the Best the islands have to offer! Creative ideas, current information on local services and suppliers and our established relationships with incentive group service providers, allow our DMC to offer you complete Destination Management. Premier Destination Services has over 20 years experience working in both the Incentive and Destination Management Companies. Together with our professionalism, we give you a resource that you can rely on, that will make your job easier. "We know the Territory" - U.S. Virgin Islands. Thank you for partnering with us to operate and deliver a very successful incentive program to St. Thomas in April of this year. This program included a community service project at Yvonne E. Milliner-Bowsky Elementary School where all participants contributed to promoting a welcoming, safe, well-disciplined, nurturing environment that provides a well rounded education for the students. Tasks included recording and packing e-waste computers, organizing storage rooms, outdoor gardening, ground maintenance and spending quality time with the students and donating well needed computers. Participants were excited to be the first group to volunteer at this school. They knew that their efforts were really appreciated. Many enjoyed the one on one interaction with the students. Some felt that the day of caring was the highlight of their trip! Without all of your hard work reaching out to the school and government departments we would not have been able to make this special day happen. Premier Destination Services also provided transfers from the airport to the hotel and a half day of hosted activities. We received many positive comments on how well the trip was organized! Participants wished the program was extended! Thanks again for managing this prestigious program with SM+i. The positive feedback we received on the program was very gratifying. Thank you for the extraordinary level of service and flexibility provided by Premier Destination Services for our recent program at the Frenchman's Reef in St Thomas. This group has been attending incentive programs for years and it is difficult to impress them. But impress them you did! Thanks again for being such a reliable partner. On behalf of the Planning Committee of the 7th Annual National Conference on Health Disparities, we would like to offer our thanks to you and your team for providing ground transportation at the Cyril E. King Airport, as well as transporting them to Estate Catherineberg for the Governor's Reception on Thursday, November 14th. We appreciate your patience and your professionalism as we work through some of the obstacles that delayed your compensation. You provided A-1 service and we are confident that you will continue to serve the visitors and people of the Virgin Islands with the same professionalism you have demonstrated to us. We would not hesitate to recommend your company to anyone needing transportation services. 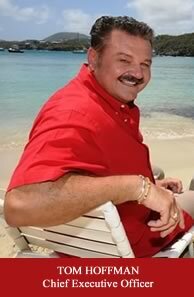 I want you to know how very pleased we were with the quality of service your company provided us for our recent incentive program in St. Thomas (March 2011). I sincerely appreciate your responsiveness, accurate information and recommendations and the way you conduct business. I rely on a strong partnership with our DMC to help us keep our schedule, manage within budgets while providing an exceptional experience to our qualifiers. As you know, our agenda and program needs were many and we expected a high level of service for our busy program and you delivered on all points. On behalf of Personalized Brokerage Services, I want you to know that we appreciated your efforts and partnership. I am happy to recommend your company to others because of our satisfaction with our entire experience and your excellent service. I look forward to doing business with you for years to come. Thank you once again for your contribution to a very successful program in St. Thomas. I am enthusiastically giving you and your team my most sincere THANKS and highest recommendation. Each and every element of our incentive program was flawless! From the initial planning stages and site visit when we first met until you personally dropped us at the airport, I have thoroughly enjoyed working with you every step of the way. Over the past 13 years in business, our company has had the opportunity to produce numerous events and work with countless vendors. Some have been less than able to meet our standards. Some have been quite good. Some have been exemplary. PDS would definitely be in the latter category! As the sole event planner and on-site contact, I have to rely heavily on those that I have selected to be of service for my associates and you more than earned my trust and confidence. My associates remarked that the greeters, drivers, activity coordinators and providers were all so friendly and service-oriented, both of which are key to making the program a success. They spend upwards of 100 nights a year traveling and know and appreciate great service and those going the "extra mile". Especially appreciated was your recommendation of the Sunset Grille for dinner and the special service and personal attention you provided our CEO and his family and our VP of Sales during their airport transfers. Thank you for all of your efforts and care that you showed in helping me execute a flawless program! Please consider me very eager to speak to any planner who may be considering partnering with you. Just a quick note to thank you for all your assistance with our corporate group in St. John earlier this month. This is our second time working with Premier Destination Services and your knowledge of the both the US and British Virgin Islands is excellent. In addition you and your staff are always warm and friendly. I look forward to the opportunity to work with you again in the future! Transportation - Equipment was top notch as were their driver's. Transfers operated efficiently and as scheduled. Last minute changes and additions were handled quickly and with a smile. Venue and Event Selection - Each of our programs required different venues and themed parties to be customized based on the participant size. The venues, restaurants, decor, florals, entertainers coordinated by Premier were the best on the island. Tours & Excursions - A variety of excursions were made available to our participants and ran smoothly and left our guests with some great experiences and memories. Teambuilding - I challenged Tom and Susan in providing me with a custom teambuilding event that was complex with many moving parts. The challenge was met and our day went flawlessly with participants who have experienced many types of these challenges in the past commenting on the originality of the event as well as the fun factor. We were rewarded with many smiling faces that day! I wanted to take a moment and thank you for your outstanding services. Your team did an incredible job with our group. During the entire week you work tirelessly, on numerous events and each job was perfection. Premier Destination Services provides top-notch quality, service and rates. Your knowledge of the island was very helpful. Trying to coordinate an event in an area where I have never been is not easy but having someone like you available as a resource, priceless. All of your recommendations and coordination enhanced this trip for our team members and made this event something they will look back and remember forever. I have heard from many of the guests and their comments to me are a direct reflection of your work. Every comment was a compliment and this is all thanks to you. We will be bringing this event back to St. Thomas in the near future and I look forward to working with you again. We all made it back home to our respective destinations safe and sound. It makes a big difference when traveling from your home to an unfamiliar destination to know that you and your great staff are available in making sure all of our transportation needs are met. As well, I am very happy that I had the opportunity to work with you. And looking forward to working with you again in the near future!!! Thank you for providing our group (Rollins, Inc. / Orkin Pest (RAC) with such outstanding service. "In working with this company (Premier Destination Services), we have experienced nothing but professionalism, dedication to us as their client, great service to our attendees, and wonderful communications throughout the entire process. Their customer service is second to none and their diligence and follow through on each and every request we have made has provided peace of mind and great results. Their ability to secure extremely competitive rates with tours, transportation needs, as well as the ability to write up contracts to best fit our needs, is why we will continue to utilize their services for years to come." "It goes without saying that your company, Premier Destination Services represents the island of St. Thomas with the utmost care. Thanks again for all you did to make our trip very memorable." "Premier Destination Services continually delivers extraordinary services and exceeds everyone's expectations. In my 28+ years in the business never have I enjoyed such thoroughness from a destination partner. I am so proud to share with our clients the PDS Team's expertise, enthusiasm and dedication. "Hands down, Premier Destination Services stood out from the competition for the U.S. Virgin Islands. During our recent trip to St. John, Premier came through with flying colors. All transfers, parties, and excursions came off without a hitch. In particular, our guests were quite impressed with the knowledge of the islands and personal attention to making sure all of us were comfortable and having a good time. Anyone traveling to this part of the world should definitely consider Premier Destination Services as their expert DMC for their next program. You will not regret it!" "I wanted to thank you for the impeccable and gracious service you provided to our group. With a demanding group such as ours and a limited time on the islands it is imperative that everything runs smoothly and efficiently or my clients feel frustrated and feel as if they are wasting precious time. Your team responded to changes very quickly. We felt as if everything was effortless on your part, although on my part, I know it was not. Your team was helpful, committed and inspiring." "On behalf of our client, Cryptologic we would like to extend our heartfelt thanks to you for providing a fabulous catamaran tour. We have very positive feedback from our client; they thoroughly enjoyed it. We at HRG look forward to working with you again in the near future." Thank you for your efficient services on our recent program to the Ritz Carlton, St. Thomas. The planning process was effortless with prompt replies and excellent communication. The execution of the program was trouble free and efficient even with some last minute unexpected events.